We believe that God has called us to love each other and those around us. We are involved in outreach here in Easley, and globally. There are opportunities for you to get involved with these as well. We believe that we are the sent people of God, so we also encourage people to express God’s love in ways that they are passionate about as well. So if you have an idea that excites you, let us know how we can support you in that mission. We partner with Mary’s House, a local refuge for victims of domestic abuse. This program serves mother’s and children who are in temporary housings as they seek to distance themselves from abusive partners. We encourage those who attend Mosaic (children included!) to bring in non-perishable or canned food items each month and place their donations in the Food Pantry at the back of the worship center. The food is given to provide meals to those staying at Mary’s House. We also have wrapped shoe boxes that we fill with gifts, as well as other needed items. These shoeboxes are provided to as gifts children as they enter the shelter, and can serve to provide a bit of love and care during a very scary and uncertain time in their lives. In Acts 1:8, Jesus gave the early church a mandate to be His witnesses beyond their own city. Obeying Him would mean going into a wider geographic region, crossing cultural barriers, and going to the ends of the earth. Mosaic’s vision goes beyond serving and sharing Jesus in our local community. We also pursue strategic partnerships and ministry opportunities that allow us to reach out to those around the globe that need to know there is a creator who loves them. We currently support efforts in Middle East as well as work with Syrian refugees in Germany. Our religious activity is often not what Jesus led us toward. 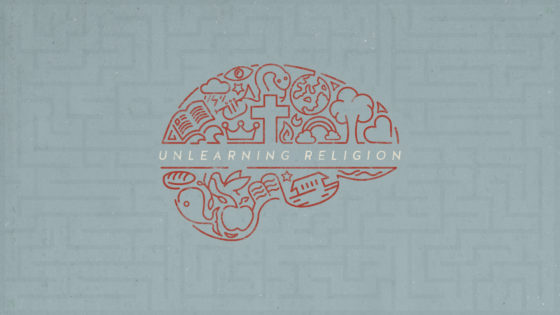 To follow Jesus and his words, we often times have to unlearn many of the religious practices that we have been taught.